We work with a diverse range of brands and organisations, all year round. Each one contributes to making our events and awards the prestigious and inspiring occassions for which we're best known. As our charitable activity continues to grow, we're looking for new partners who meet the highest standards. Over the years, we've cultivated a wide network of partners who share our passion for celebrating excellence and believe in our charitable remit. They support us across our whole range of activity, from learning events and initiatives to international awards ceremonies. In return for supporting one of the UK's leading independent charities, our partners receive an unrivalled range of benefits. 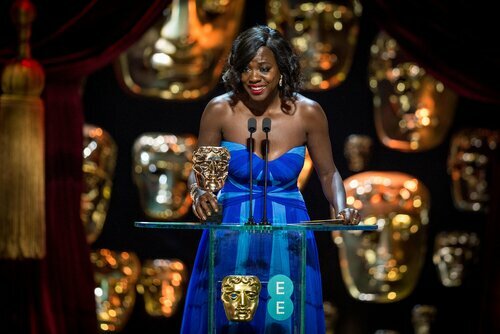 We work with brands in the luxury sector to create unforgettable experiences for BAFTA nominees. By invitation only, these experiences are offered ahead of awards ceremonies as a personal service and through appointments at our Style Suites. Style Suites are our exclusive one-stop styling location, based at our Official Hotel, for nominees on the weekends of the Film Awards and Television Awards, where nominees take advantage of a range of products and services provided by a range of official partners. Whether it's becoming a title sponsor to one of our awards ceremonies, or providing us with goods and services, we want to help you find a place in our family of partners. Contact our Partnerships Team today.